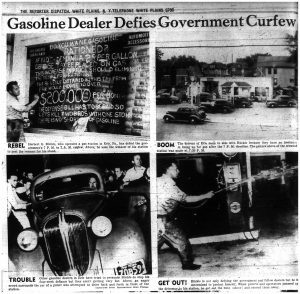 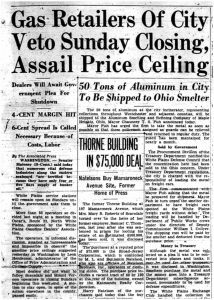 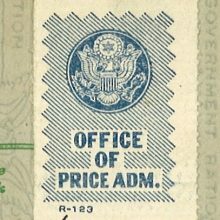 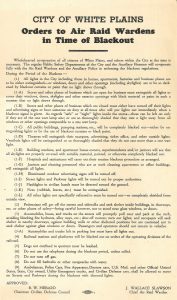 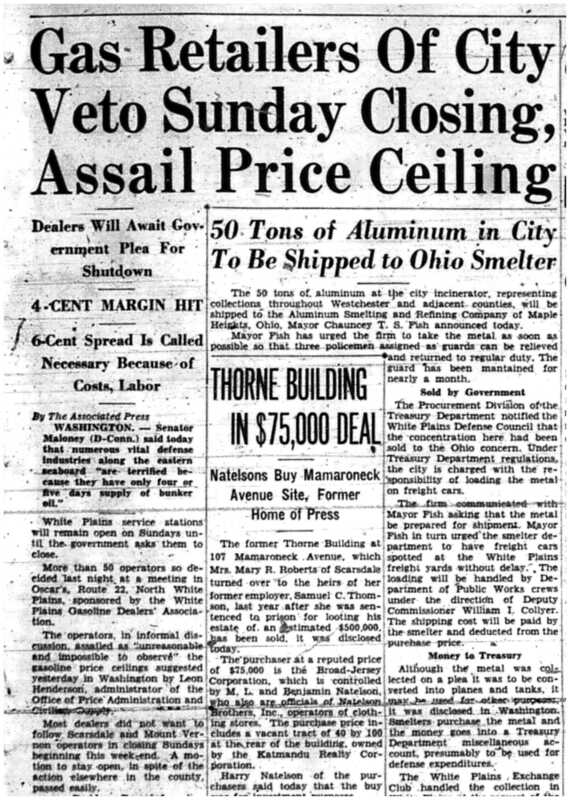 On April 11, 1941, FDR signed an executive order creating the Office of Price Administration.The Reporter Dispatch wrote that the purpose of the OPA was the “protection of the consumer” and to make supplies available to the public “after military needs are met.” Many goods were rationed during World War II, including sugar, meat, coffee, building materials, and gasoline. 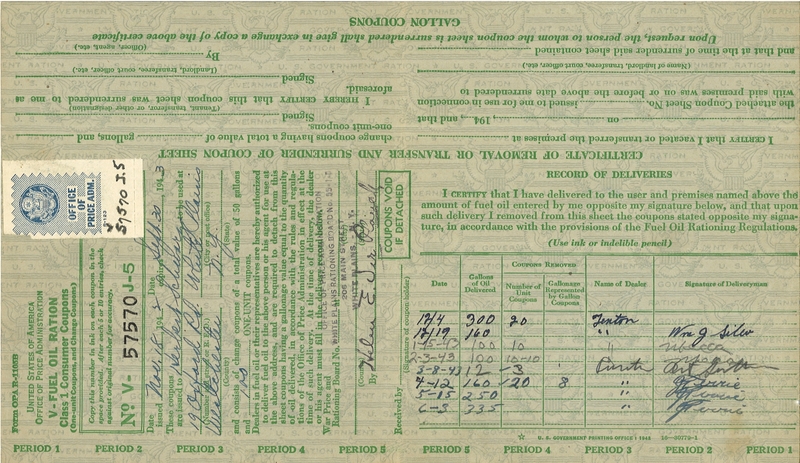 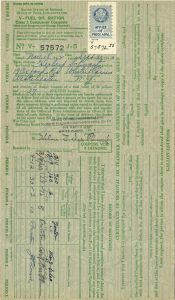 The OPA issued ration books to individuals a number of times during the war. 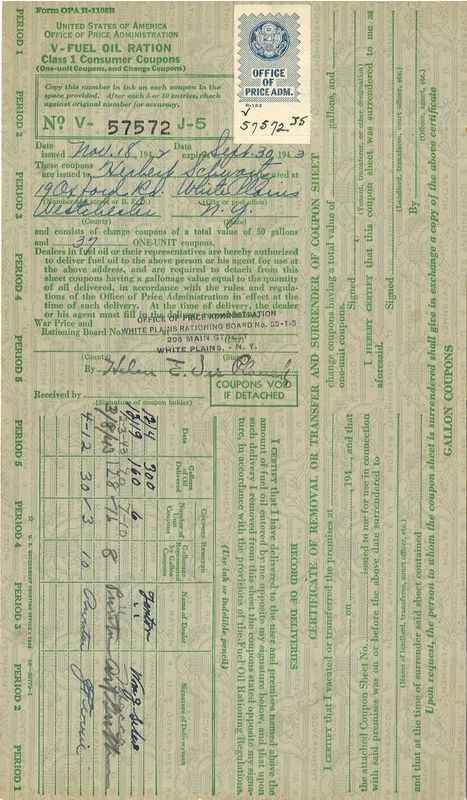 Below are two examples of ration coupons for heating oil that were donated to the White Plains Collection by Library Trustee Paul Schwarz. 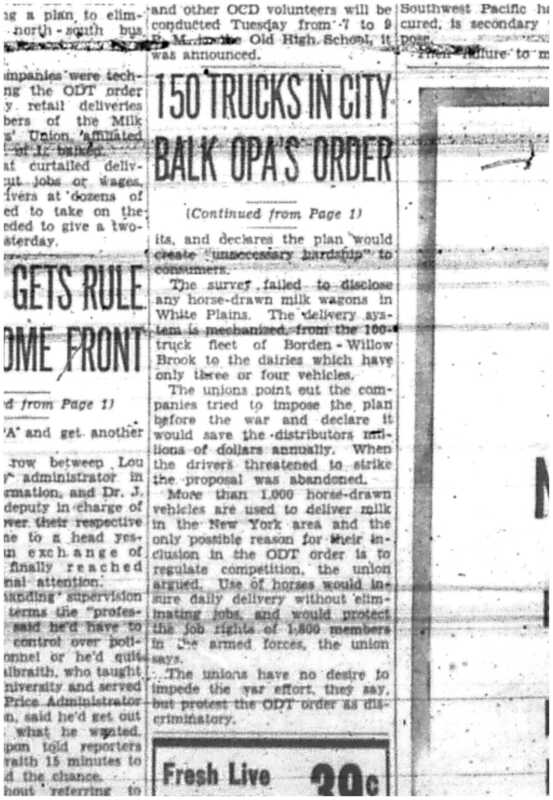 They show the address of his family's house (19 Oxford Road), the location of the OPA office in White Plains (206 Main Street), and records of purchases. 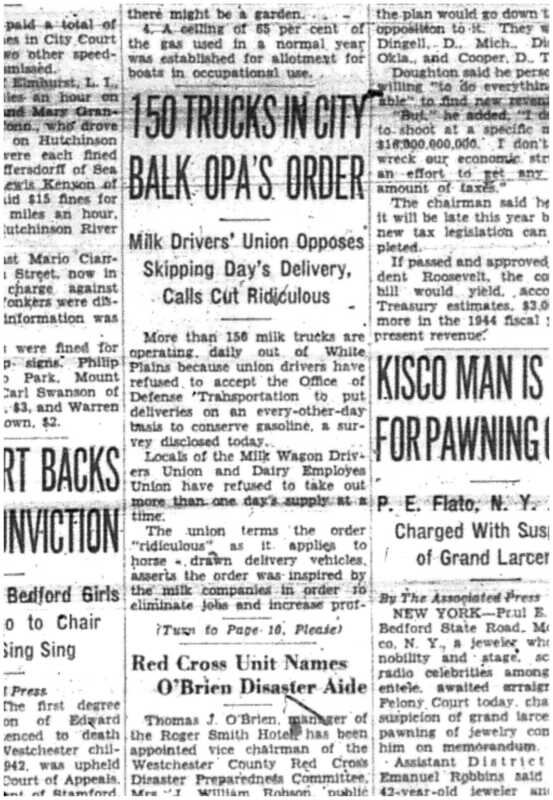 The White Plains Ration Board (where the Schwarz's coupons came from) was written up by Brendan Gill in The New Yorker‘s June 13, 1942 edition. 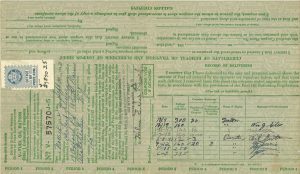 In “X, B, and Chiefly A,” Gill describes a Tuesday afternoon in “one of the country's eight thousand ration boards.” The one he visited happened to be on the second floor of the former high school on Main Street, approximately where Five Guys and the entrance to the City Center parking garage is today. 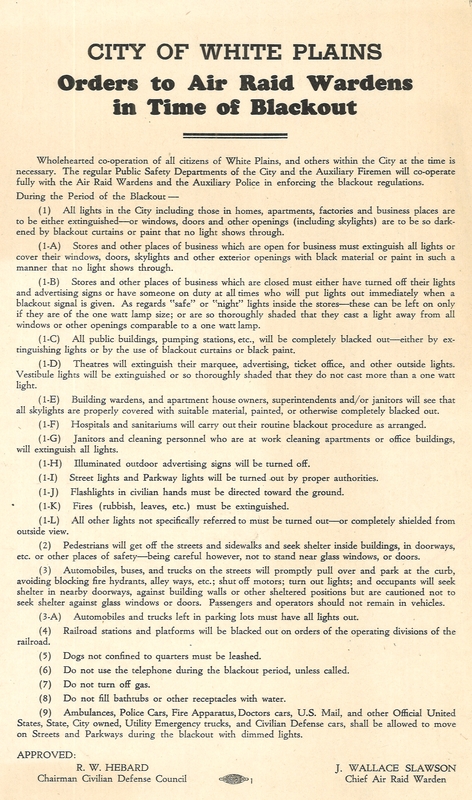 According to Gill, the office was bare bones, with only one typewriter and one telephone to service multiple desks. 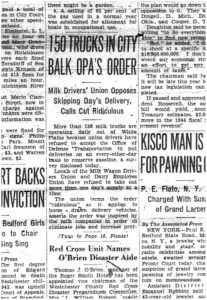 There were mountains of forms in duplicate, triplicate, and quadruplicate and hundreds of people eager to make their case for increased rations to a board of only three people. 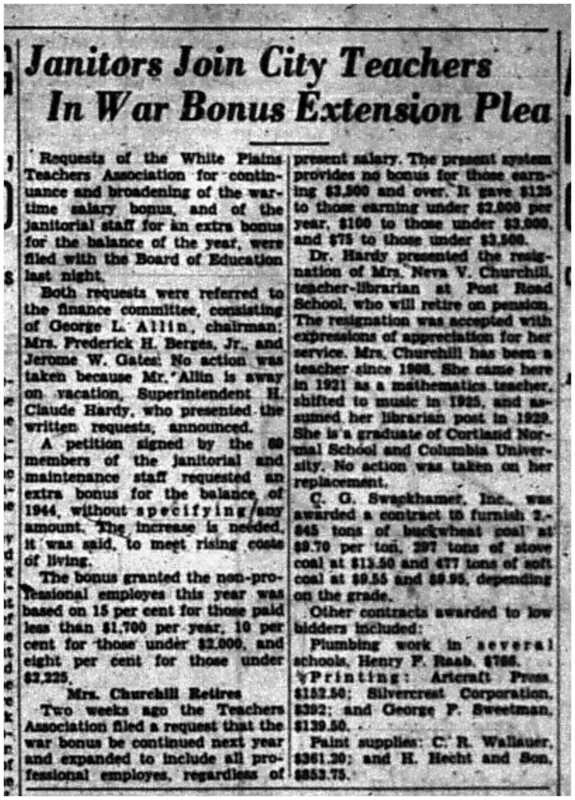 Mrs. Christenson, the office manager, was serving on a volunteer basis until the common council approved funds for paid employees for the board. 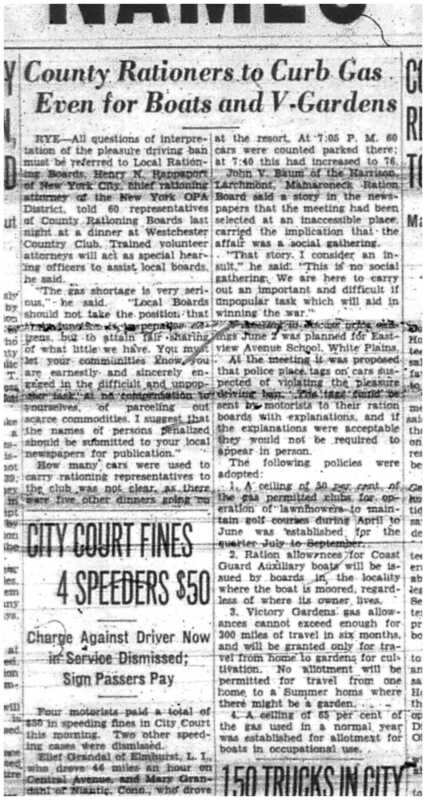 She helped Chauncey Griffen (a real estate broker and former mayor who lived on North Street), Edward Schirmer (the president of the White Plains Rural Cemetery and a banker who lived on Linda Avenue), and Thomas Holden (a lawyer who lived on Prospect Street) manage the business of the board, which consisted chiefly of adjudicating the claims of people seeking different types of ration coupons. 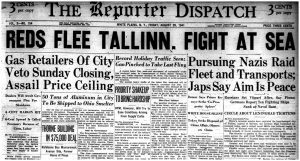 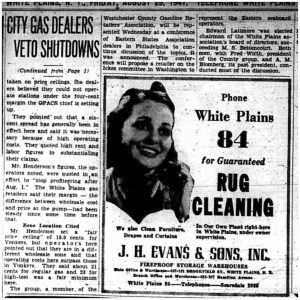 The article is vividly written and rather funny–a great unselfconscious slice of life from the World War II home front. 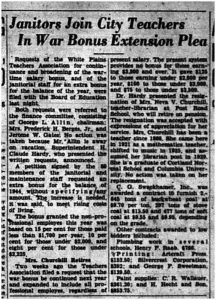 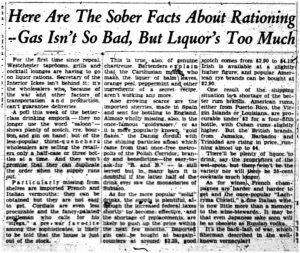 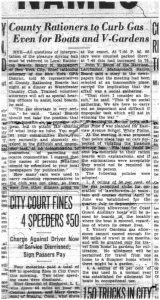 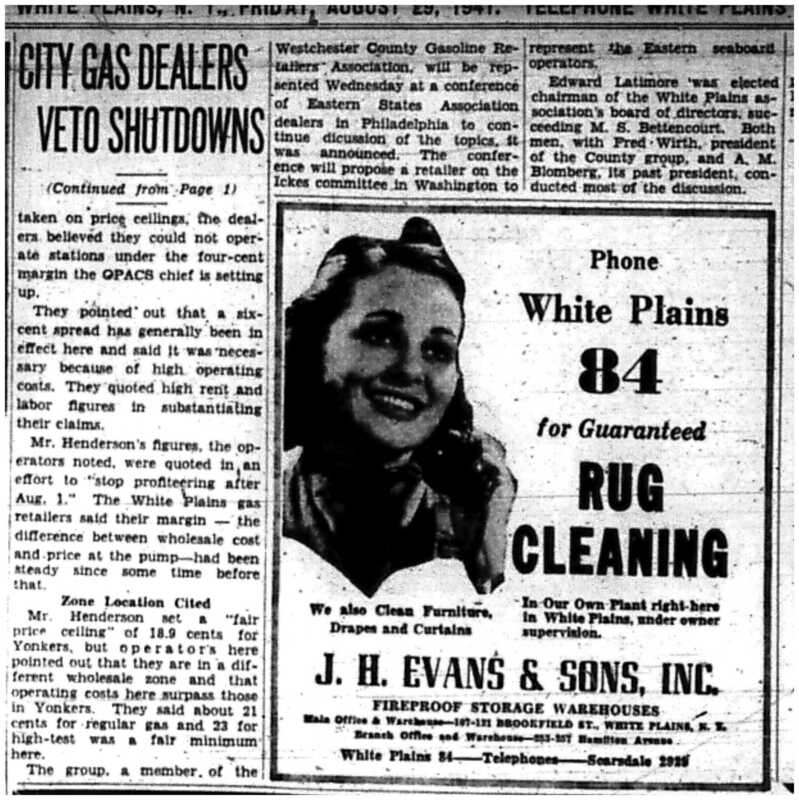 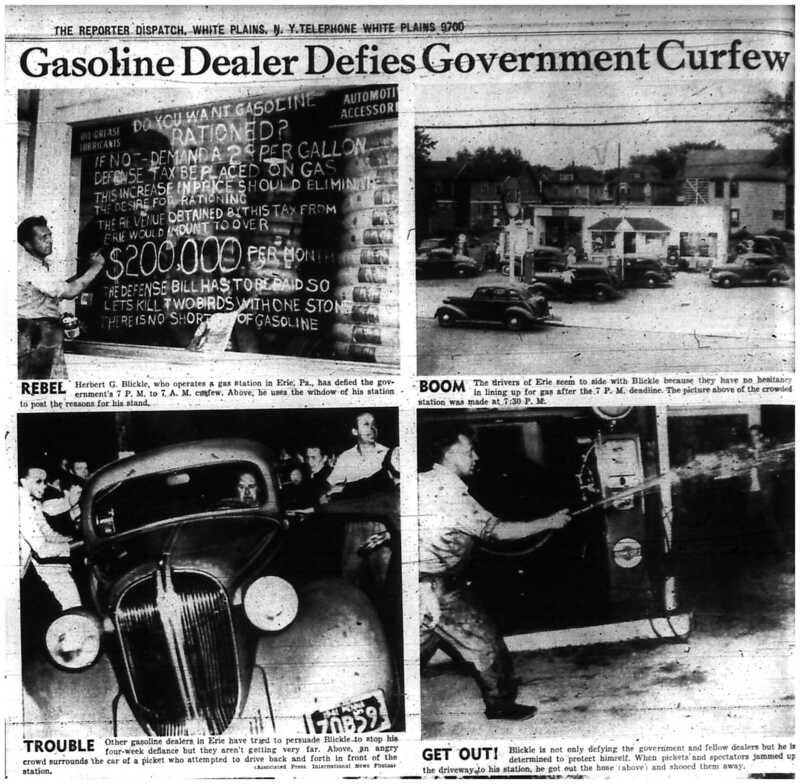 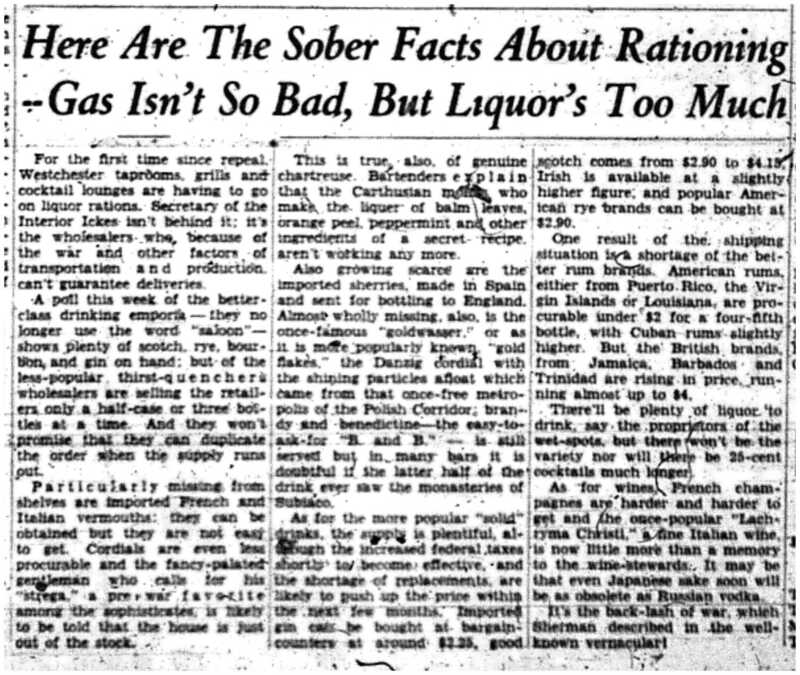 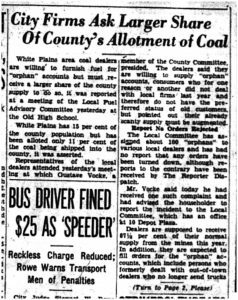 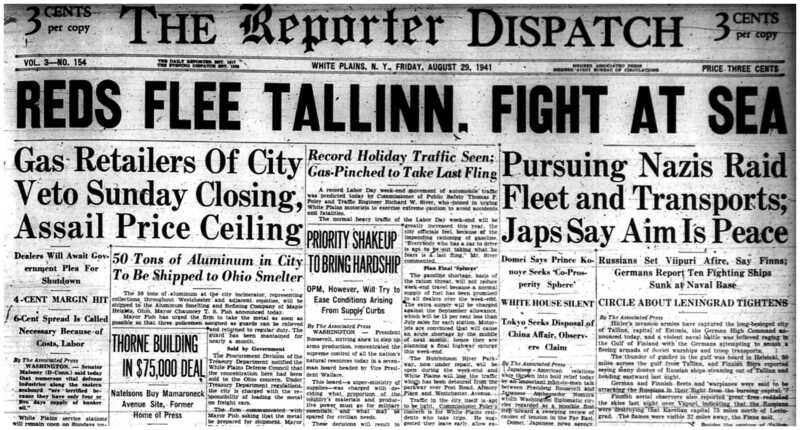 Here is a selection of articles from the Reporter Dispatch, which also had a big year in 1941–the Common Council designated it as the official newspaper of the City of White Plains on March 3, 1941. 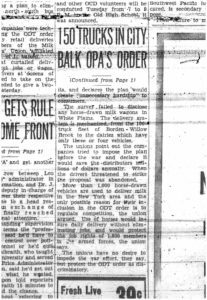 These articles all involve the OPA and describe the tensions that occasionally arose between people and the agency. 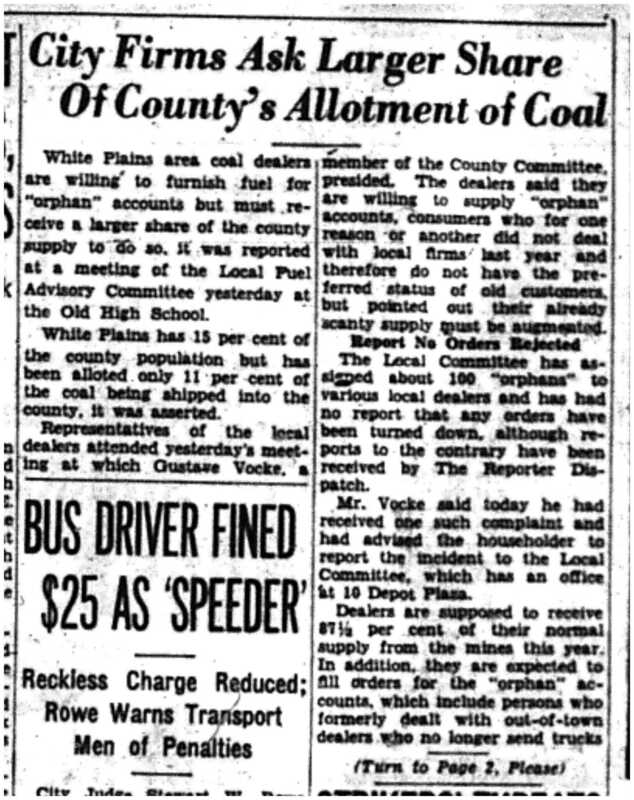 More stories like these can be found in the White Plains Collection by anyone!